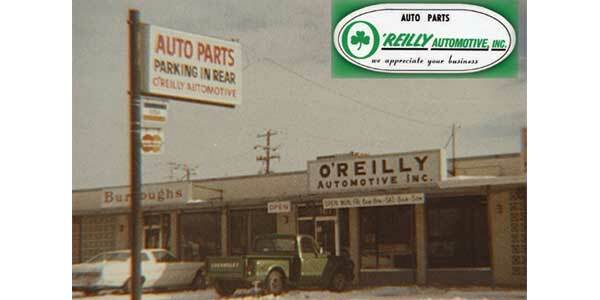 O'Reilly Automotive, Inc. officially started in the auto parts business in Springfield, Missouri, in November of 1957. However, its historical background in the automotive business, as well as the family's quest for opportunity and advancement, may be traced back to a much earlier time. Michael Byrne O'Reilly immigrated to America in 1849, escaping from the hard times of the potato famine, which struck Ireland in 1845-46. Settling in St. Louis, he worked his way through school to earn a law degree, and then pursued a career as a title examiner. His son, Charles Francis O'Reilly, attended college in St. Louis and went to work in 1914 as a traveling salesman for Fred Campbell Auto Supply in St. Louis. By 1924, Charles had become familiar with the Springfield area, having traveled by train to sell auto parts throughout the territory. He recognized the region as an area of growth and opportunity and asked to be transferred there. By 1932, he had become manager of Link Motor Supply in Springfield. One of his sons, Charles H. (Chub) O'Reilly, had also joined the company. 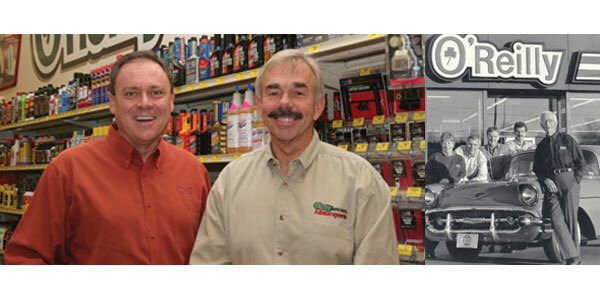 Together they provided the leadership and management that made Link the predominant auto parts store in the area. In 1957, Link planned a reorganization, which would have included the retirement of 72-year-old Charles F. O'Reilly, and the transfer of C. H. O'Reilly to Kansas City. 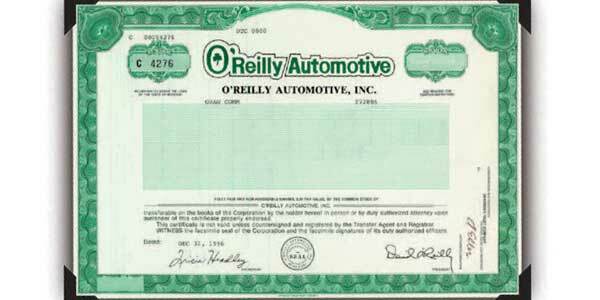 Since neither agreed with these plans, they made the decision to form their own company, O'Reilly Automotive, Inc. They opened for business on December 2, 1957 with one store and 13 employees at 403 Sherman in Springfield. Their sales totaled $700,000 in 1958, their first full year of business. Due to the hard work and ability of the original employees, several of whom were stockholders in the company, the business grew and prospered from its very first year. 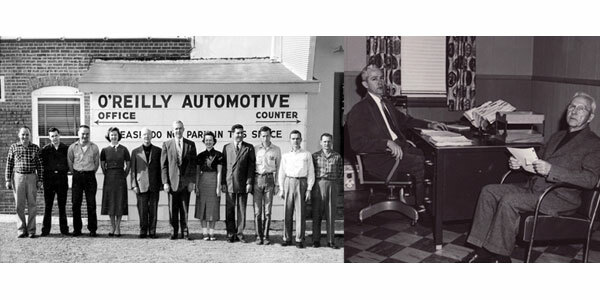 By 1961, the company's volume had reached $1.3 million – the combined volume of O'Reilly Automotive Distributors, a division formed to serve independent automotive jobbers in the area. 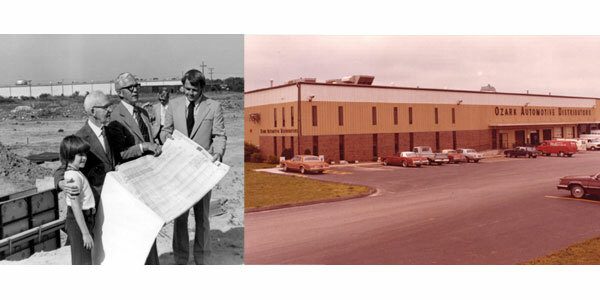 In March of 1975, annual sales volume rose to $7 million, and a 52,000-square-foot facility at 233 S. Patterson was built for the O'Reilly/Ozark warehouse operation. By that time, the company had nine stores, all located in southwest Missouri. The long range plans and stability of the company were solidified by a public offering of company stock in April 1993. Since that time, the Company has grown through the opening of new stores, as well as through numerous mergers and acquisitions, and currently operates stores in 47 states, including Alaska and Hawaii. Throughout this time the underlying spirit and philosophy of O'Reilly Automotive, Inc., has been one of growth and progress, both for the company and its team members. This remains the policy to which the company is dedicated today. 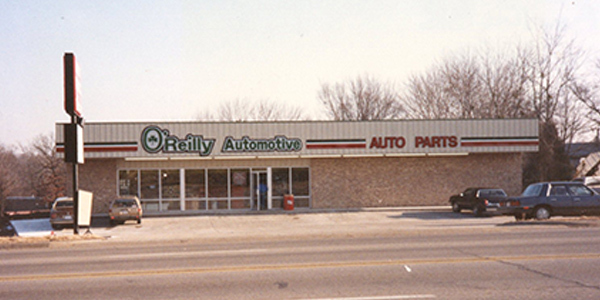 In July, O’Reilly Automotive opens its second store at the corner of Glenstone Avenue and Bennett Street in Springfield, MO. A major reorganization of company operations takes place at this time. Chub O'Reilly became president of Ozark Automotive Distributors, which moved into a new 52,000 square foot building with warehouse and office space at 233 S. Patterson, Springfield, MO. Charlie O'Reilly became president of the O'Reilly store division. David O'Reilly became general manager of the warehousing division in addition to overseeing the financial and computer departments of both companies. Larry O'Reilly became head of sales and acquisitions for both companies. O'Reilly develops the dual-market strategy business strategy enabling the company to maximize sales both in the professional "do-it-for-me" business and in the retail "do-it-yourself" market. 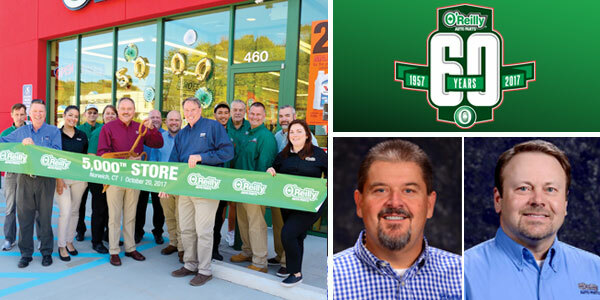 O'Reilly opens its 100th store, 132-Barling, AR. By late 1992, the O'Reilly family decides to take their thriving company public. The initial public offering, April 22, 1993, of 2,333,332 shares of common stock on the NASDAQ market under the symbol ORLY was $17.50 per share. 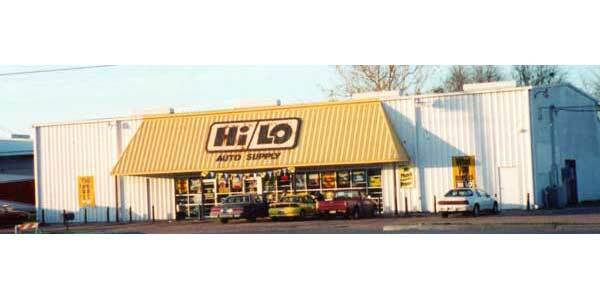 January 30, 1998, O'Reilly undertook the largest expansion in its history at the time, with the acquisition of Hi/LO Auto Supply, nearly doubling in size. Headquartered in Houston, TX, the acquisition added a distribution center there and 182 stores across Texas and Louisiana. 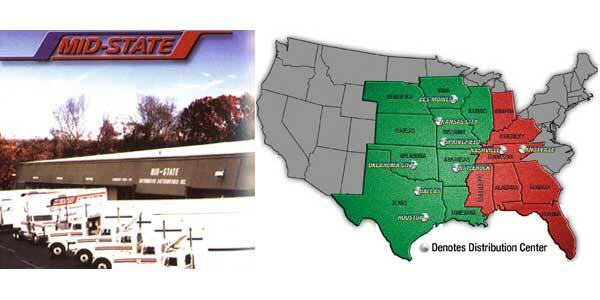 The O'Reilly sales footprint grew by five states with the Mid-State acquisition in the fall (October 1) of 2001. This gave the company an additional 82 stores in five states: Alabama, Florida, Georgia, Indiana, and Kentucky, and two distribution centers in Nashville, TN and Knoxville, TN. 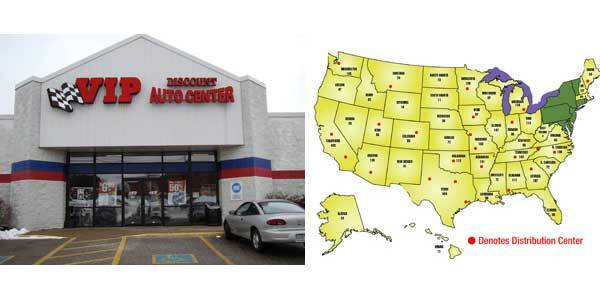 With the growth, O'Reilly advanced into the ranks of the top five auto parts chains in the nation. O'Reilly names Co-Presidents Greg Henslee as Chief Executive Officer and Ted Wise as Chief Operating Officer. With the retirements (2002-2003) of Chub O'Reilly, Charlie O'Reilly, Rosalie O'Reilly Wooten, and Larry O'Reilly, Greg Henslee and Ted Wise take over daily operations. David O'Reilly remains active as Chairman of the Board. The Midwest acquisition on May 31, 2005, takes O'Reilly halfway across the U.S.A. with stores in 25 states. Added were: 72 stores, two DCs (Minneapolis, MN, and Billings, MT), a presence in six additional states; Minnesota, Montana, North Dakota, South Dakota, Wisconsin, and Wyoming. 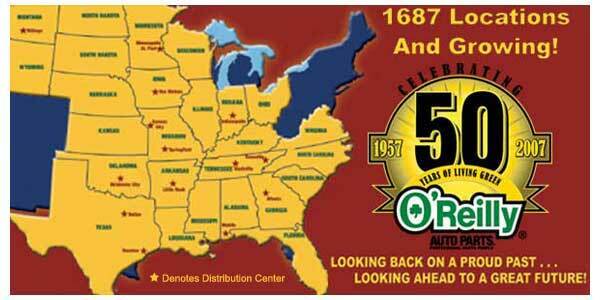 In December of 2007, O'Reilly celebrates 50 years in the auto parts business with 1,687 stores and 14 distribution centers. The July 11 CSK acquisition brings O'Reilly to 40,000 team members and 3,200 in 38 states. 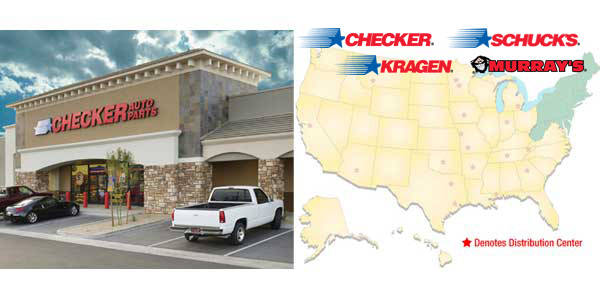 CSK is the parent company of Checker, Schuck’s, Kragen and Murray auto parts stores. Acquired were: 1,342 stores in 12 states: Alaska, Arizona, California, Colorado, Hawaii, Idaho, Michigan, Nevada, New Mexico, Oregon, Utah, and Washington; and four DCs in Phoenix, AZ, Detroit, MI, Dixon, CA (now Stockton, CA) and Minneapolis, MN. O'Reilly opens a new, 115,000 square foot Corporate Office in Springfield, MO, on June 10. 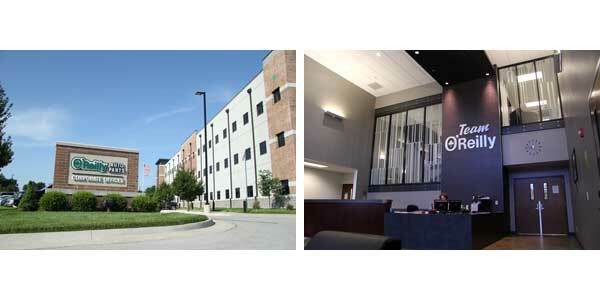 The expanded campus accommodates 650 team members in the newest building. 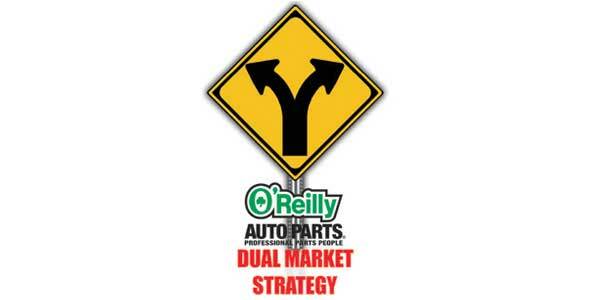 The December 31 acquisition of VIP Auto Parts puts O'Reilly Auto Parts in 42 states. Acquired were: 56 stores in three states: Maine, New Hampshire, and Massachusetts; and one DC in Lewiston, ME (now Devens, MA). On January 1, Greg Henslee was named President/CEO. Ted Wise transitioned from Co-President/COO to the role of Executive Vice President of Expansion. 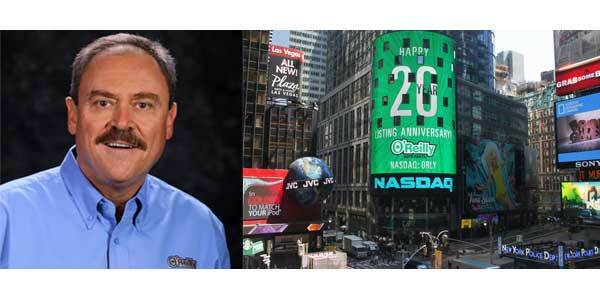 In April, O'Reilly celebrated 20 years on the NASDAQ. 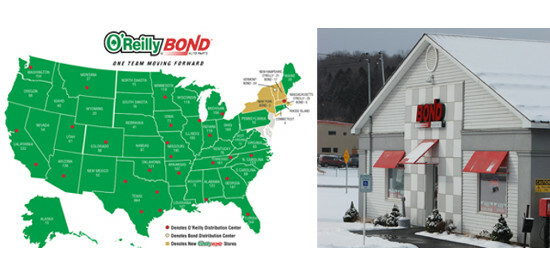 On December 2, O'Reilly's 59th Anniversary, the company acquired the privately held Northeast automotive parts supplier Bond Auto Parts. Acquired were 48 stores in four states (Vermont, New Hampshire, Massachusetts, New York), plus one distribution center in Barre, VT (eventually to combine with Devens, MA.) O'Reilly was now in 47 states! 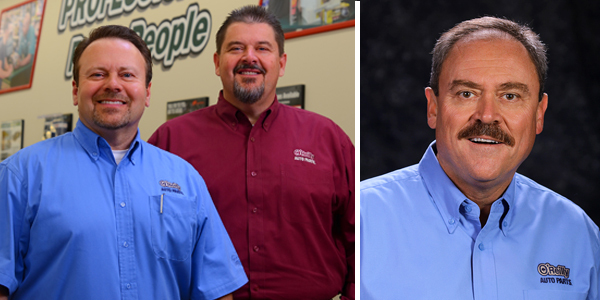 In May, O'Reilly named Co-Presidents Greg Johnson as Chief Executive Officer and Jeff Shaw as Chief Operating Officer. Greg Henslee is named Executive Vice Chairman of the Board. David O’Reilly remains Executive Chairman of the Board. After 54 years of service, Charlie O'Reilly retired from all official company responsibilities. Charlie contributed significantly to O'Reilly's long-term success, but also played an important role in developing the O'Reilly Culture that all team members observe today.